As far as portable vaporizers go, it really doesn’t get any better than the Crafty. 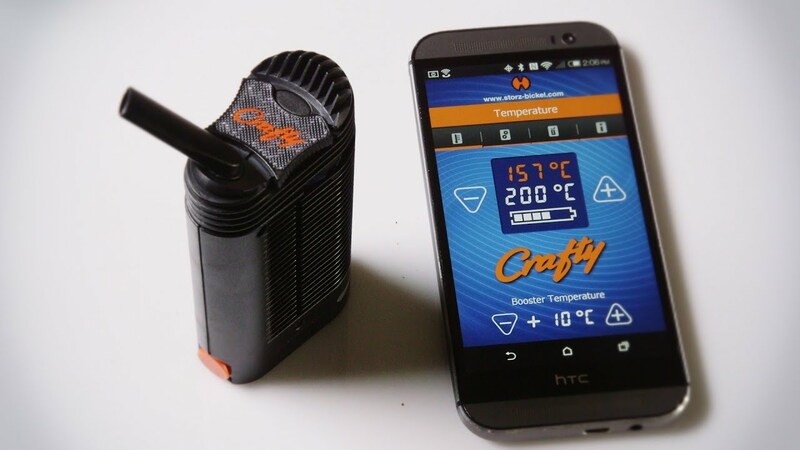 From the makers of the Volcano (Storz & Bickel), the Crafty is essentially the benchmark by which all other portable vapes are measured against. There’s simply no other vaporizer on the market today that can match the Crafty’s performance and overall quality. Read on to learn more. While the overall build quality was the first thing I noticed when taking this little guy out of the box, it didn’t surprise me, as Storz & Bickel is known for their manufacturing superiority. The unit itself feels solid and durable and conveys quality right of the bat. I’m really a fan of the overall aesthetics as well. It almost looks like a little hand-held dehumidifier or something, with ‘fins’ running up and down the sides, the Crafty feels very secure in your hand. While the loading process may be a little more involved than some other portable units, after the second or third load it feels like second nature. When utilizing the included loading tool, it’s pretty easy to keep the Crafty clean. You could probably get away with loading up without the tool, but you really want to be careful not to spill any dry material into the lower chamber, as it looks like it would be pretty difficult to clean out. As with all vaporizers, the finer your grind your dry material, the more airflow is allowed and the better vapor production will be. In my opinion, the optimal load for the Crafty is about 0.2 grams. I also found the unit to perform well when packing smaller amounts as well. 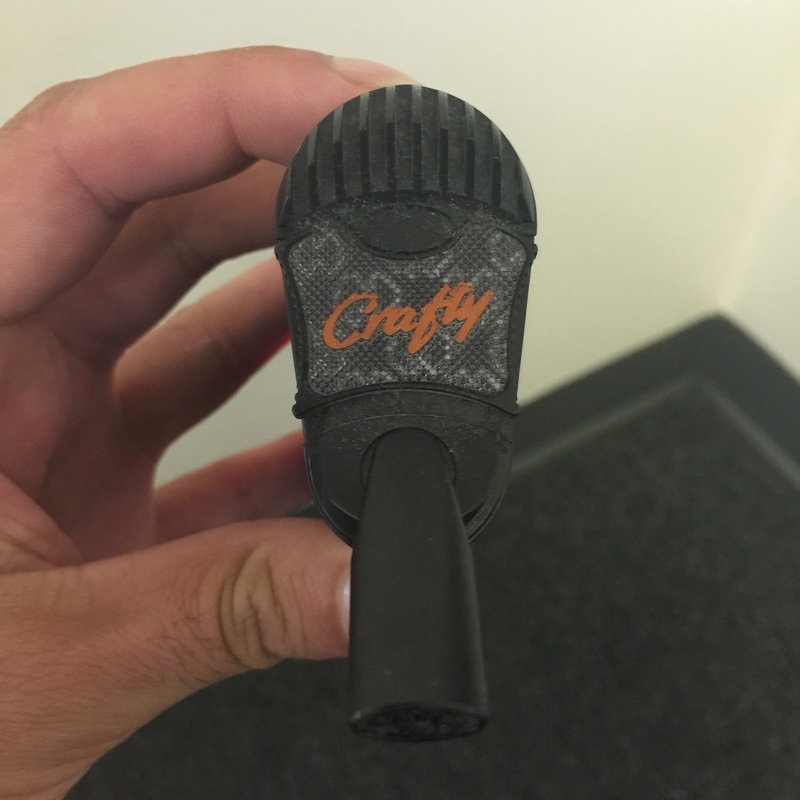 The Crafty utilizes a pretty cool vibration feature to indicate a few different things. Vibration occurs when you turn the unit on, when desired temperature is reached, when switching between temperature settings, and when the unit is turned off. The heat-up time takes just 2-3 minutes. 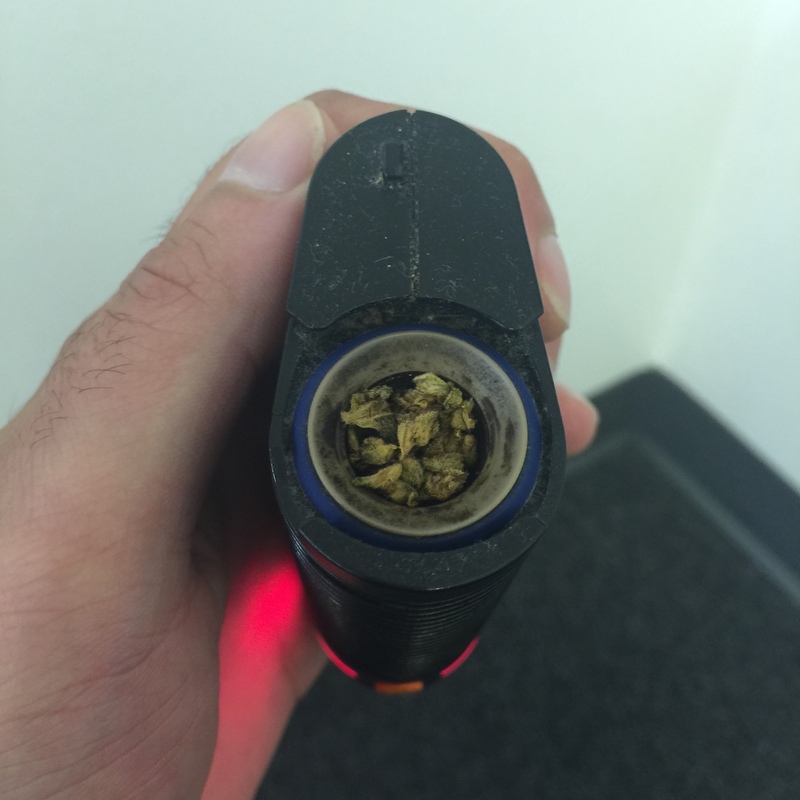 Just wait for the vibration and you’re ready to vape. Once vibration indication occurs, the red display light will change from red to green, at which point you’re ready to go. The first thought that went through my head after my first puff was “This little guy draws like a pencil!” You really get the feeling like you hitting a desktop vaporizer, not a portable. While the default temperature of 365°F runs a bit low for my taste, I found the higher heat setting to be more than adequate at 383°F. The Crafty’s ability to produce consistent, great tasting vapor clouds in unmatched by any other portable unit on the market. With many other units, I find that the vapor production is good, however, the vapor is harsh or too hot. Not the case with the Crafty. In fact, as the Crafty utilizes a vapor cooling chamber, I found myself being able to take slightly larger hits than I would dare to take with some other units. The vapor effortlessly pours out of this unit with barely any resistance at all, almost like like hitting an actual Volcano. My only gripe about the Crafty is that the battery is embedded, and only lasts for about 45 minutes of continuous use. Many units nowadays feature a battery that last upwards of 2 hours that you can take out of the unit and charge separately (which also allows you to keep backup batteries charged). The Crafty falls pretty short in this department, but those looking for enhanced battery life have the option of stepping up the the Mighty. Another advantage of having a battery that can be removed from the unit is that it’s replaceable if something goes wrong. As I’ve been using vaporizer for 10+ years, I’ve found that if I do encounter an issue, it’s usually battery related, so it’s nice to be able to simply toss the defective battery and replace it with a new one if need be. With that said, considering the Crafty is a Storz & Bickel product, I’m not that worried about encountering a faulty battery down the road. As for battery life, I was able to get about 4 or 5 full loads out of a single charge, so not horrible. You’ll find increased battery functionality in the ‘Mighty’ model, as that unit utilizes dual lithium ion batteries. Regardless of battery life, I always recommend popping any unit on the charger when not in use so you don’t yourself “all dressed-up with no place to go”. The Crafty travels very well. It’s super durable and will withstand pretty much anything you can throw at it during transit. Aside from being a bit bulky, it’s very small and discreet and can fit easily into your pocket. In addition, there’s no additional parts or accessories you need to carry around with that Crafty that could break. I’m a big fan of the draw-stem. It’s made out of the same material as the unit itself, and stays flush to the top of the the Crafty when not in use. There’s no acrylic or glass stem to take on or off and worry about breaking when in transit. If you hate having bulging pockets full of accessories, the Crafty is a great all-in-one option. However, as I stated previously, using the included loading tool, while not necessary, will help to keep the unit cleaner than if you were to pack loads by hand and risk spilling material into the lower chamber, so you may want to carry that around with you as well. While the Crafty does offer precise temperature control through its downloadable smartphone app, I think most people will seldom use that feature, and will instead stick with the default heat setting (365°F) or the “booster” setting (383°F). I like how both preset temperatures are well below 400°F, eliminating the possibility of any combustion taking place. However, if for some reason you find that the vapor clouds your getting from the Crafty aren’t quite as robust as you’d like, you can always use the downloadable app to dial in a precise temperature higher than the unit’s defaults. IS THE CRAFTY WORTH THE PRICE? Yes, a thousand times over – yes! While the Crafty’s (recently lowered) price tag of $339 is far from a drop in the proverbial bucket, when you consider everything that this unit brings to the table, $339 actually seems like somewhat of a steal. The Crafty performs on another level than most portables, and its build quality is unmatched. 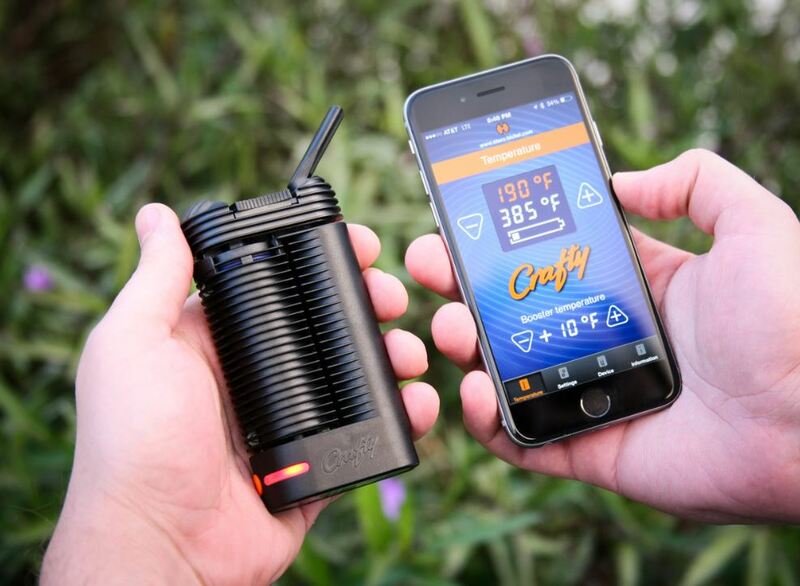 Much like Storz & Bickel’s flagship unit, the Volcano, the Crafty is built to last and is the perfect companion for on-the-go vaping excursions. While there’s no shortage of great portable units available today that are awesome in their own rights, there are not many units on the market that will do as many things as well as the Crafty does in such a small package. 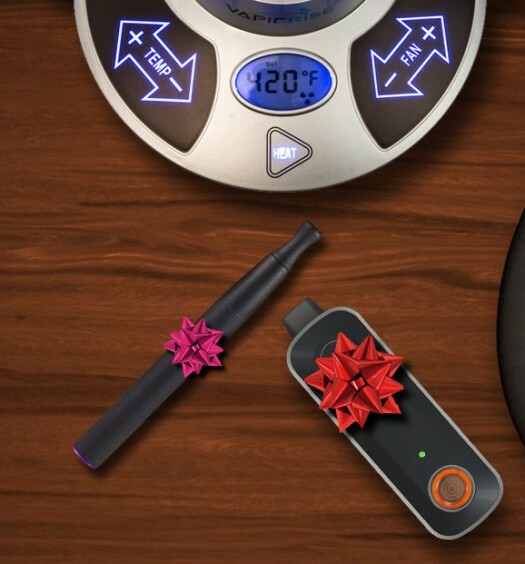 It exceeds expectations in basically all categories and performs as well as you would expect a high-end portable vaporizer to perform. Don’t let the hefty price tag detour you – this little guy is worth every penny. I recommend purchasing the Crafty from this trusted retailer – they will upgrade the shipping to 2nd day air express at no additional charge. 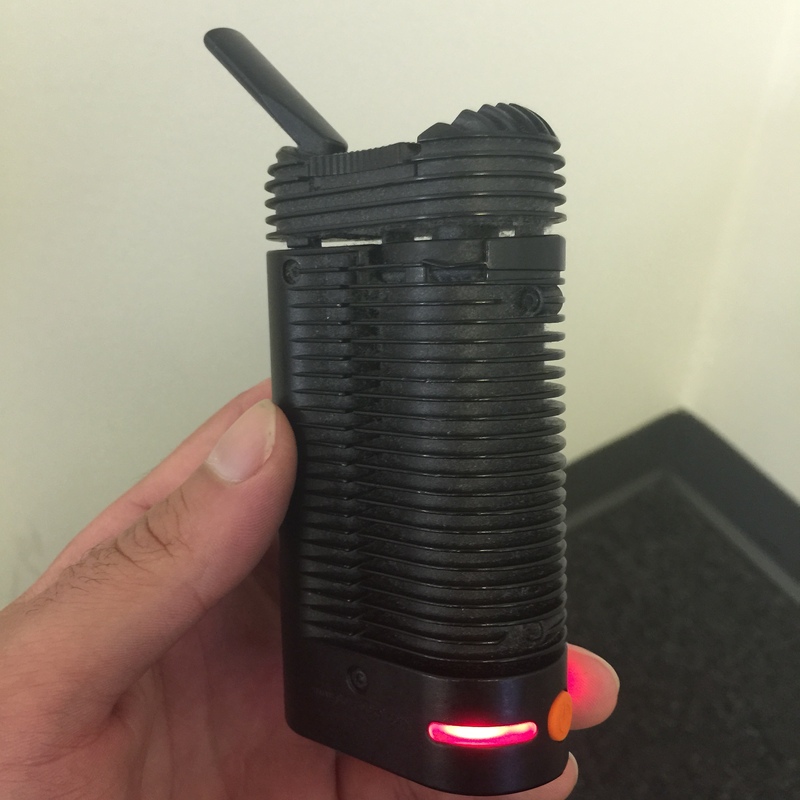 The Crafty is, without a doubt, the best portable vaporizer on the market today. Enough said.